WHAT OUR FANTASTIC COUPLES ARE SAYING. 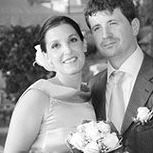 We chose Joe to do the videography for our wedding after our wedding planner gave us his contact details. I have worked a lot with media (videographers and photographers) through my work as a model so I am very fussy when it comes to choosing people to film me. On the wedding day we found Joe to be very friendly and he put my husband at ease (my husband hates being photographed and filmed as he's quite shy). Soon after we returned home to the UK we received our wedding DVD. We were gobsmacked to how amazing it was, the introduction of the DVD made me feel overwhelmed with emotion. Joe had also had recorded some of our guests talking to the camera which we really liked. We thought Joe had put a lot of work into editing the video and we are really proud of the end result. I wish he lived in the UK so that I could hire Joe for parties, as the memory he created for us was astounding. I can assure you from working with lots of people over the years, that Joe is the best you will find. oe, thank you so so much for our wedding photos!! So many great CANDID shots!! I barely noticed you during our reception but you still have hundreds of amazing photos!!! Thank you once again!!! If we get married again you will surely be our photographer yet again!! Me & Kenny watched our wedding DVD last night and it's brilliant! We can not thank you all enough who came to our wedding for making our day magical.... Because that's what it was, without you all it wouldn't of been the same THANK YOU! And a big thank you to Joe Caruana who through the heat put together these memories for us to treasure forever :) ..... — feeling fantastic. Joe was our photographer for our wedding in April 2014. He was extremely professional and friendly from our initial consultation right through to the day we received our wedding album. 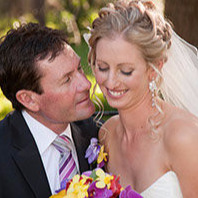 Joe was very easy to work with & we felt he really listened to our preferences. The photographs produced were of excellent quality and we had plenty of photographs to choose from for our album. Joe worked very discreetly & took some candid shots that truly captured our day. The album itself is presented beautifully. Everybody who has viewed our album has commented on the superb design & quality. Thanks a million Joe! Sorry haven't gotten round to this earlier... just wanted to say what a wonderful day we all had, you did a fantastic job!! You took brilliant shots of the whole service and at the reception...the beach shots are beautiful, you really captured the day perfectly. 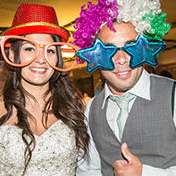 You were very professional and felt really comfortable having you being our photographer Family and friends have all commented on the photos saying how lovely they are. Was great to see them all on your website so we could all look at them the day after, also the printed photos were of great quality and a lovely dvd as well - good job well done - thank you so much, definitely would recommend you!! We had the perfect wedding day, this was due to a huge combination of things – a big one being that we chose you to be our photographer! From the moment you arrived to photograph the bride and bridesmaids preparations you were friendly, warm and easy going. You arrived with a clear plan and a calming confidence, that enabled us all to relax and have fun. You blended in quickly and we were able to forget you were there and focus on getting ready and having fun! We can not recommend you highly enough! 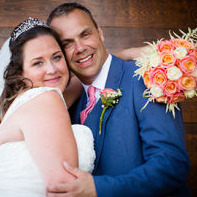 A huge thank you to you Joe – you made our day so special and the photos you have taken will enable us to remember that forever. Thank you so very much!!! 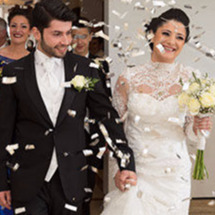 Thank you and your wife so much for such fantastic photos on our wedding day at The Hilton. You’ve been great with us from the start, ensuring that we were both at ease and our natural selves in front of the camera. The photographs are absolutely fantastic and capture some wonderful moments, particularly of us getting ready and playing games, and some great facial expressions! ​We can’t speak of you highly enough and would recommend you to anyone. I received our wedding album this mornin. I absolutely LOVE it. Thank you so much. The quality is amazing. 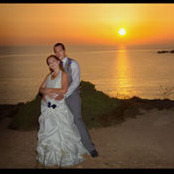 We just wanted to email you to say a huge thanks to you for being the photographer for our wedding in Gozo . Our dream of a winter wedding came true and we had the best weather to top our day, beautiful winter sunshine! It was just perfect! We saw the first batch of photos yesterday and I can’t stop looking at them. They are beautiful! Thank you so much for all the wonderful memories you captured on out wedding day. ​We has such an amazing day. Looking at the pictures just reminds us of how special it was. So thank you for playing such a big part in it all. Thank you Joe. You worked in a very calming and professional manner, just getting on with the photographs – we forgot you were there at times! The photographs are amazing and have captured our day so beautifully. Most people shy away from photographs (myself included), but you have captured us and our guests at ease and enjoying the day. We will look back at them for years to come, and feel as though it was only yesterday. Thanks so much for capturing our special day in all the fabulous photographs, beautiful images, amazing memories & love the album. 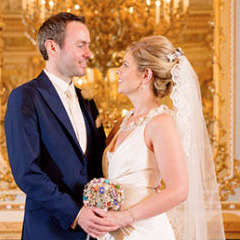 We chose Joe on the recommendation of our wedding planner and are both so pleased we did. As we are from Ireland we had to communicate a lot with Joe via email before and after the wedding and he was always came back to us promptly with any queries we had. 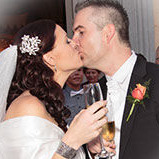 We both loved our wedding album and our friends and family have commented on its excellent quality. Thank you so much for all the beautiful pictures. You're work is fantastic. We are so happy with them. We can't wait for the video now. Hi Joe, Wow. Thanks so so much. We're both delighted. Your finger must never have being off the button you took so many in such a short time frame. We could not have wished for a better day in malta and to have so many brilliant pictures to remember it with is just amazing. Best wishes and an early merry Christmas.